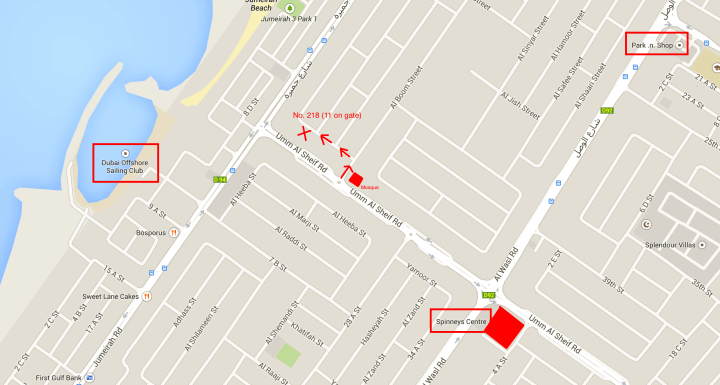 From Al Wasl Road: Heading towards Dubai, turn left at Umm Suquiem Spinneys junction. Go straight over first roundabout. Right at second roundabout after the mosque. First left. Villa about 100m down on the left. Villa has 11 on the gate or blue 218 municipality number.